Happy Halloween! I hope you have a spooktacular day! The high school my boys attend is putting on a carnival so tonight we'll be busy hanging out there and watching the fireworks at the end of the evening, always a fun time. It's my turn to host the challenge at The Friday Mashup and I'm already thinking about Thanksgiving and how thankful I am for what I have. Now, I'm thankful throughout the year but at this time of year I really like to show people how much I appreciate them. It's been a year full of changes, some good and some bad, and taking the time to acknowledge those in my life who have stood by me and supported me is important to me. I've seen a lot of cards in a box lately and I was intrigued by them, but also intimidated. However, I quickly discovered these are quite easy so if you've never made one before what are you waiting for? :) I used THIS VIDEO for inspiration. The only thing I did differently is that my card stock is 9 x6, I believe she uses a 9 x 5. I decided to use the Holiday Home set and created a little neighborhood fall scene, with trees, pumpkins and 2 houses. I used Color Me Autumn DSP to decorate the outside of the box, and sequins dress up the inside panel and add a little more visual interest. The sentiment is from the set For All Things. 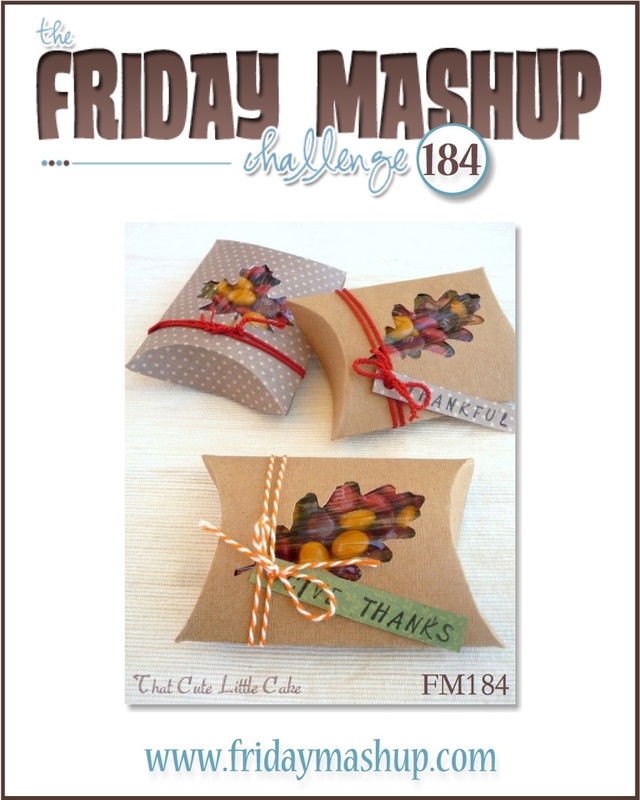 Make sure you head over to The Friday Mashup to see what the rest of the DT created, and then play along with us! 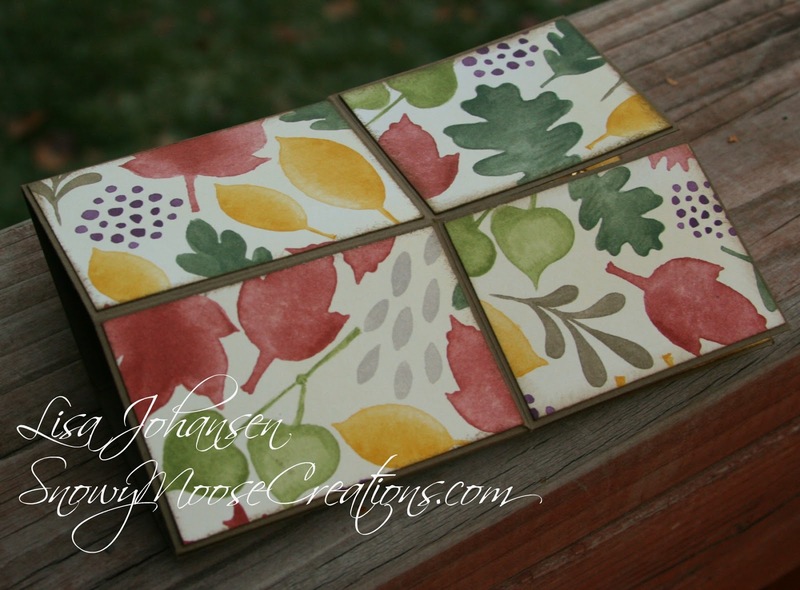 Create a project with a "Thanksgiving or Thankful Theme". or Mash it Up! and create a "Thanksgiving- or Thankful-Themed Box". What a cute card in a box! I love the fall scene you created!